Back in the late 70s, early 80s, I lived in the Southwest for a pretty long stretch. While I certainly grew to love some aspects of the climate and the culture, there was always something missing for me. Of course, you could say that because I grew up on the East Coast, I naturally missed the familiarity of the Northeast landscape and the changing seasons, but I knew it was more than that. I finally put my finger on it when I started reading about the Danish concept of hygge. This is what had been missing! While there's no exact English translation for hygge (pronounced HEU-gah or HOO-gah), the idea relates to a feeling of warmth, togetherness, coziness. It's about creating an environment that helps you enjoy life's simple pleasures. 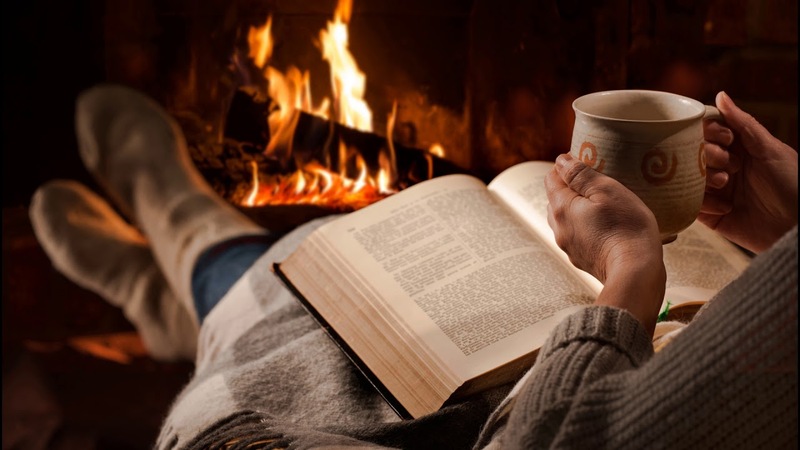 It's the feeling of it being really cold outside, getting in comfy clothes, sitting in front of a fire with a good book, or a close group of friends and some yummy food and simply relaxing. Defined by the Oxford English dictionary as "a quality of coziness and comfortable conviviality that engenders a feeling of contentment or well-being", hygge is apparently a Danish obsession. Helen Russell, a British journalist who wrote "The Year of Living Danishly," defines the term as "taking pleasure in the presence of gentle, soothing things," like a freshly brewed cup of coffee and cashmere socks. Signe Johansen, author of How to Hygge: The Nordic Secrets to a Happy Life, refers to hygge as, "healthy hedonism". And, then there's Meik Wiking, author of The Little Book of Hygge and the CEO of the Happiness Research Institute, who explains "..hygge gives us the language, the objective, and the methods for planning and preserving happiness; hygge may be the closest we come to happiness when we arrive home after a long day's work on a cold, rainy day in January." Do you want more hygge in your life? (Who doesn't, right?) Maybe now is the perfect time to plan an evening (or even a full day!) of hygge sometime in the remaining weeks of winter. Start a new tradition with your friends or family; it might be playing board games or cards, maybe gathering around a fireplace to tell stories, share photos, or maybe even have a sing along or a good old-fashioned sleepover party! Hygge is about making the most of what we have and fully enjoying and savoring it! Here are some guidelines for creating an environment of hygge from Wiking's book, The Little Book of Hygge. Togetherness - build relationships and narratives, "Do you remember the time we..."
**When the author tells a 4-year old that it's his job to find out what makes people happy, she replies, "That's easy." "Sweets!" If you want to read more about hygge and perhaps get some suggestions for how to build more of it into your life, here are a few articles I'd recommend. Or read Wiking's book! Thanks, Debra. Nice post—as I sit here with a cup of tea, a book, my feet up and a dog! I’ve been a fan of Hygge for years! Yum yum yum. Loving the poetry of the sweetness of everyday life.